Download this free printable It is the Most Wonderful Time of the Year Christmas print and add a festive touch to your home decor! I realize it’s barely November, but isn’t November and Thanksgiving really just a precursor to the most wonderful time of the year? I don’t know about you, but every year when October comes to an end, my mind races towards the Thanksgiving and Christmas holidays. Besides, I often feel like Thanksgiving is just a trial run for Christmas. After all, the holidays really are all about the food and who you share it with, right?! Please tell me I’m not the only one that feels this way! Since we are in agreement that the Thanksgiving and Christmas holidays really are the most wonderful time of the year, it only seemed befitting that I create and share a cute little Christmas print with you. Then you just need to download the PDF file and save it to your computer. These Christmas prints and all other free printables on The Birch Cottage are for your own PERSONAL USE ONLY. 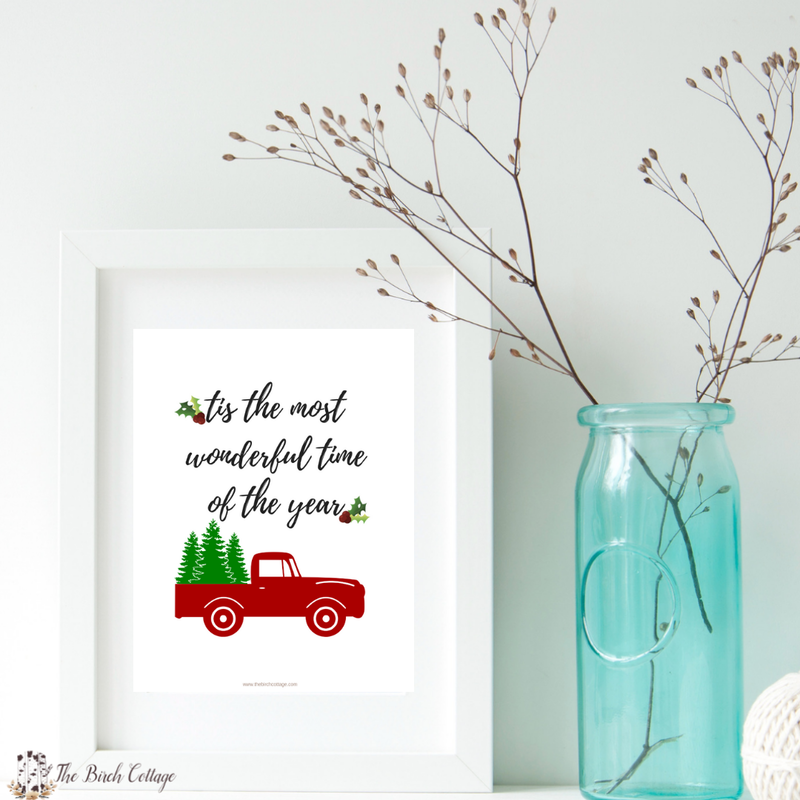 Sign up to get the free printable It’s the Most Wonderful Time of the Year Christmas print using the form earlier in this blog post. Then download the free PDF and print your preferred design. Remember, choosing the highest quality settings in your printer settings will give you the best quality print. I recommend using nice cardstock paper for your prints. Whether you’re using cardstock or printer paper, you’ll want to cut and trim the prints using either a pair of scissors or a paper trimmer to fit the frame for your project (typically 8″x10″). Once you’ve printed and trimmed your Christmas print to the appropriate size, you’ll want to place it in a frame. If you’re using a matted frame, it may not be necessary for you to trim the print first. 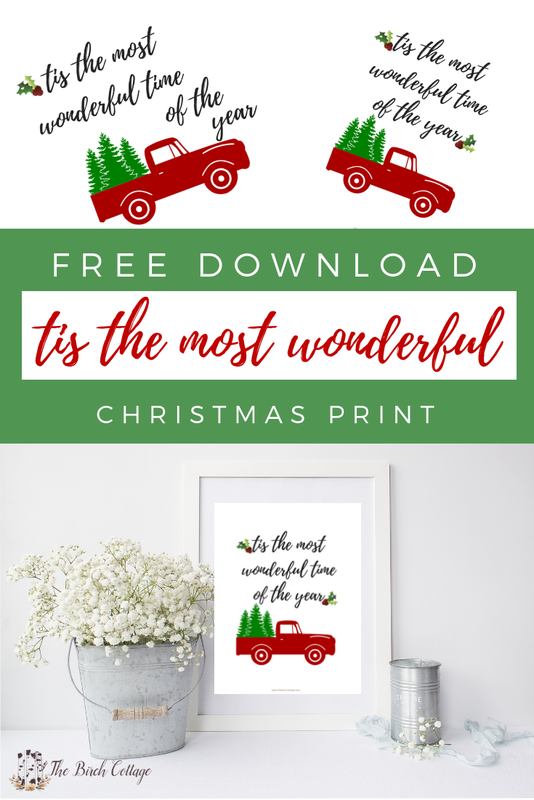 I hope you enjoy this set of free printable It’s the Most Wonderful Time of the Year Christmas Prints and find them to be useful for your holiday decorating. Free 8×10 Military Creed Prints – Thank You for Your Service!